Patrick is a psychologist with wide experience of safety and management in a variety of high-hazard industries. Patrick has worked with the Oil and Gas sector, both upstream and downstream, commercial and military aviation, shipping, mining and hospital medicine. Patrick was one of the developers of the Tripod model for Shell, together with Jim Reason and Willem Wagenaar, better known as the Swiss Cheese model. Patrick was part of Shell’s team developing the theory of SMS in response to Piper Alpha and am now involved in teaching and developing SMS concepts in Civil Aviation, primarily in Asia and Australasia. Patrick developed the HSE Culture ladder, together with Dianne Parker and is now working on improving concepts of risk analysis in hospital medicine, transferring knowledge and experience between industries. 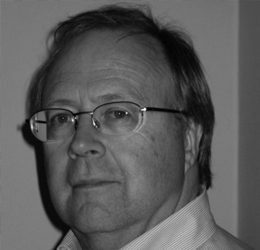 Patrick is an Emeritus Professor at Delft University of Technology in The Human Factor in Safety at the Department of Safety Science. Specialties: Psychology, aviation safety, Oil and Gas HSE, patient safety, Nuclear engineering, computer science, artificial intelligence, design.